At Serenity we provide a stand up or lie down sunbed that allows you to have a beach body all year round. Serenity now have two FLABeLOS machines. Using the development based on the balancing theory in sport science, the new FLABeLOS enhances proprioception, exploiting the muscles your body uses to balance itself to shake, shake, shake off the flab!! The FLABeLOS unique balance training workout results in improved posture, blood circulation, muscle strength and flexibility. 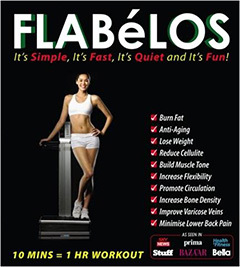 The compact new FLABeLOS is the ultimate workout machine that shakes you to becoming slimmer, fitter and healthier!! If you're interested, come down to the salon and have a chat with our staff who will be able to tell you more about the FLABeLOS machine. If you want to try it out please call us first. Our FLABeLOS is very busy and it would be advisable to book an appointment to avoid disappointment. HALF PRICE FLABeLOS PROMOTION : Take advantage of our Summer Promotion - now ON! Why not get a fast all round tan in either our stand up or lie down sun beds. Looking good and feeling great is what having a tan is about and why 70% of us in the UK want one! Whether it's an all year tan, a pre holiday boost, vitamin D boost or you simply want to look good for that special occasion, a tan has never been more accessible. It is not advisable to over use the sun bed. Please note people UNDER 18 years of age will not be permitted to use the sun beds. 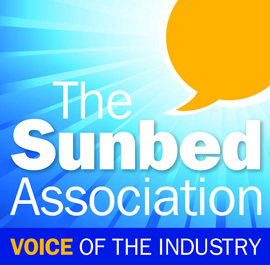 We advise all customers to use eye protectors and cream when using the sun beds. BLOCK BOOK tanning sessions for big savings!